This image is also a powerful visual tool for helping veterinarians diagnose injury and illness, and is now available at Animal Medical Center of the Cascades. Digital thermal imaging—also known as thermography—doesn’t depict temperature but instead measures the radiant energy from the target tissue. It’s also non-invasive, non-destructive, and can lead to a faster and more accurate diagnosis. Thermography is often used as an adjunct to Laser Therapy, which we also offer at our facility. 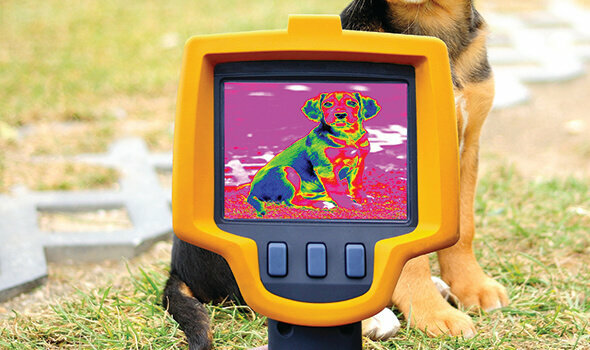 If you’d like to know more about digital thermal imaging and how it might help your pet, schedule an appointment online or call us at 703-956-1522.